It used to be - you book a reservation at a restaurant, get dressed up and make the trek to the restaurant. Now you can have the restaurant practically come to you! The Cameron’s Kitchen chef Volker Koepke knows a thing or two about flavour so you can be sure your chef prepared food delivered to your door tastes like it’s just come out of a 5-star kitchen. Whether you’re planning a date night, having a lazy dinner with your loved one, celebrating a friend’s birthday or you just don’t feel like cooking for yourself – here’s why staying in is the new going out. After a hard week at work, sometimes the last thing you want to do is get dressed up and venture outside. If you’re celebrating something but your purse strings are tight, you can still eat amazing food and have your friends over without having to spend hefty amounts in restaurants and bars. In a few clicks you could have the restaurant experience delivered to your home, while you catch up on the latest box set! One of the best reasons to stay in is the absolute freedom you have. No having to worry about what you’re wearing or no need to worry about getting home after maybe that third bottle of wine! Eat your tasty restaurant grade meal in your trackies if you so wish and lounge back in unrestrained enjoyment. If you want to impress a date, you can still create that restaurant experience at home without breaking the bank. Get your best table china out, decorate the dining area with flowers and open that bottle of bubbly while enjoying your tasty chef-prepared food delivery. You could even let them think you cooked the meal for extra brownie points! Queuing for a restaurant, queuing for the bar, queuing for the cloakroom!? Sometimes a night out on the weekend can mean queuing for a lot of things. Avoid the queues and put your feet up at home while the restaurant comes to you. Eating out in restaurants can sometimes mean you don’t know or realise how many calories you’re packing away. Cameron’s Kitchen healthy meal deliveries means you can check all the ingredients in each meal and all the nutritional information, making sure you can stay within your calorie requirements. 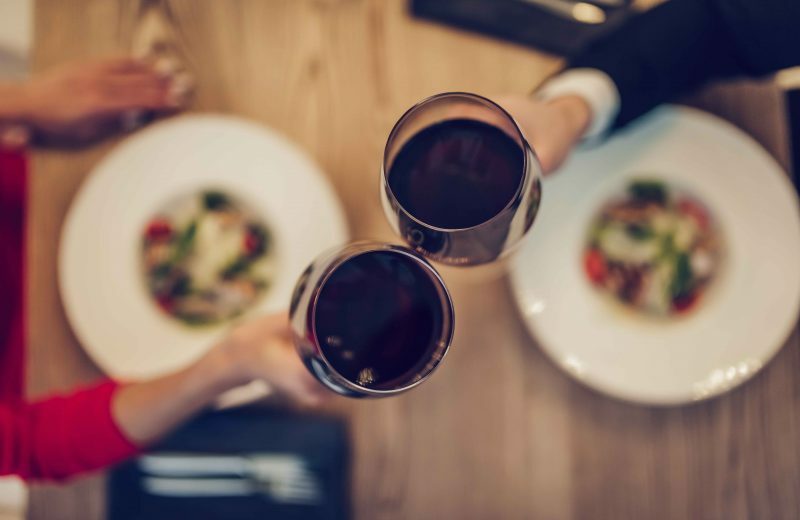 After your delicious meal you may want a few extra glasses of wine, if you’re out in a restaurant, you usually must start planning the trip home before things get too blurry! Staying at home means you can just fall into bed after those extra glasses without having to worry about getting overcharged by that taxi driver.